"We did expect a rise but we didn't expect it to be quite that high," she said. "It reflects a few things. Everyone has a smartphone - you only have to catch public transport to see everyone is on their smartphone - everything is moving to the internet, and there's also the rollout of a major infrastructure program with the NBN." The NBN's internet services attracted the greatest growth in complaints, up a staggering 141 per cent, while landline complaints grew 92 per cent. "The complaints about (NBN) services are not keeping pace with the rate of connections, so that's a good sign," she said.NBN chief customer officer John Simon said the percentage of NBN customers complaining about services had dropped compared to the first half of last year, but there was still room to improve. 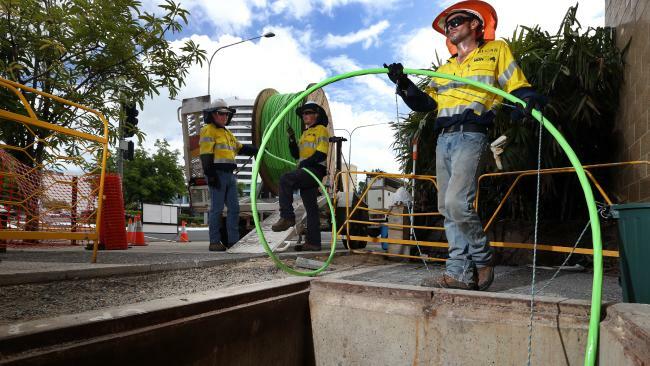 "With about 30,000 households and businesses being connected to services over the NBN network every week, an increase in the individual number of issues reported to the TIO reflects the acceleration of the rollout," he said. "However, from an NBN perspective, we need to continue to improve the consumer experience as we further ramp up." Ms Jones partly attributed the overall rise in complaints to the "disruptive" force that the NBN had become in the market, as it encouraged consumers to check they were getting the best deal. "When they get connected to the NBN, they take the opportunity to reconsider their plans and the NBN has been quite disruptive in the marketplace," she said. "Consumers are telling us there's a lot happening in changes to policies and service offerings."